ASBURY PARK, N.J., Aug. 19, 2015 /PRNewswire/ -- After a colorful history and a checkered past, Asbury Park, NJ is finally looking at a brilliant future. A multi-billion dollar redevelopment plan announced today will transform a 1.25-mile stretch of Asbury Park waterfront with carefully curated residential, hotel, and infrastructure projects. 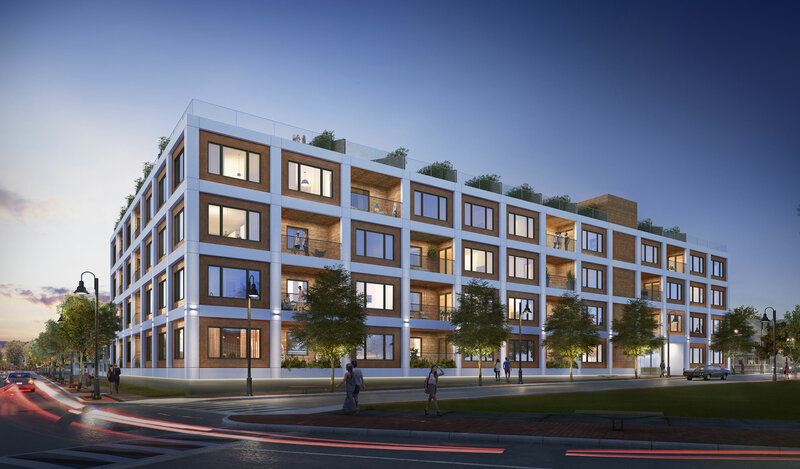 iStar (NYSE: STAR), the visionary real-estate investment company whose roots in Asbury Park stretch back a decade, is leading the revitalization, which involves more than 20 individual projects. Ten years in the making, the plan represents one of the most significant redevelopments ever undertaken on the Eastern Seaboard, and one of the nation's most ambitious urban-revival initiatives. "We believe in Asbury Park's potential as a one-of-a-kind place to live, work, visit, and invest," said Jay Sugarman, iStar's founder and CEO. "We're excited to harness its character, beauty, and heritage to build a future full of promise. And we're eager to share it with the world." Sugarman has assembled an all-star team to power the redevelopment forward. Anda Andrei, formerly Director of Design with the Ian Schrager Company, is the creative lead for the entire redevelopment project. Andrei is hand-picking designers and architects who understand how to shape Asbury Park's future while celebrating its one-of-a-kind character. Hotel innovator David Bowd, creator of the sought-after SALT hotels brand and a former executive at Andre Balazs Properties will manage, program and oversee development of an iStar-backed hotel currently under construction. Other notable partners include internationally acclaimed architects Gary Handel (The Dream, Four Seasons Miami); Paul Taylor (Ace, Nomad); and Chad Oppenheim (Ten Museum Park Miami); renowned landscape designer Madison Cox (Majorelle Gardens in Marrakech, Spring Garden at the French National Museum at the Château de Blérancourt); and landscape architects Melillo + Bauer Associates. While it reshapes the future, iStar's redevelopment will nurture the maverick spirit and indie attitude that make Asbury Park one of the unsung capitals of cool in the United States—from its multiple music venues like the legendary Stone Pony and retro-hip Asbury Lanes, to galleries, chef-owned restaurants, independent-minded local retailers, nightspots, and seasonal farmers' markets. "Asbury Park has a soul that makes it unique in America," said Andrei, whose past projects include the Delano Miami, Royalton New York and The London EDITION. "There's a love for that behind this project. We're mining the incredible history and one-of-a-kind character to amplify what's already here." Bowd agreed. "Through the properties we're developing, we have a once-in-a-lifetime opportunity to capture Asbury Park's incredible sense of place," he said. The Company will also partner with Asbury Park businesses, cultural institutions, entrepreneurs, artists, and community groups to nurture the town's character as a true American original – "Brooklyn on the Beach," as some have called it, or "The Indie Hamptons." While big promises have come and gone in Asbury Park, a sea of change is already happening under iStar's stewardship. Vive, a 28-townhome project completed last year as a pilot project, sold out within a day of its initial offering. Landscaping, sidewalks, street lighting, and parking have all undergone major overhauls with iStar support. The company has been a presence in Asbury Park since late 2010, when it opened a headquarters on Ocean Avenue. The Asbury, a 110 key independent hotel designed by Stonehill & Taylor Architects will be inspired by Asbury Park itself and will take the title of its first new hotel in 30 years. The Asbury is set to open early summer 2016 in a long-vacant former Salvation Army building after extensive adaptive-reuse work. Monroe, a stylish and sophisticated 34-unit condominium designed by acclaimed Miami architect Chad Oppenheim, projected opening summer 2016. Asbury Lanes, the legendary music and bowling venue that's home to everything from burlesque to bingo, will get a careful refresh from iStar, its new owner. 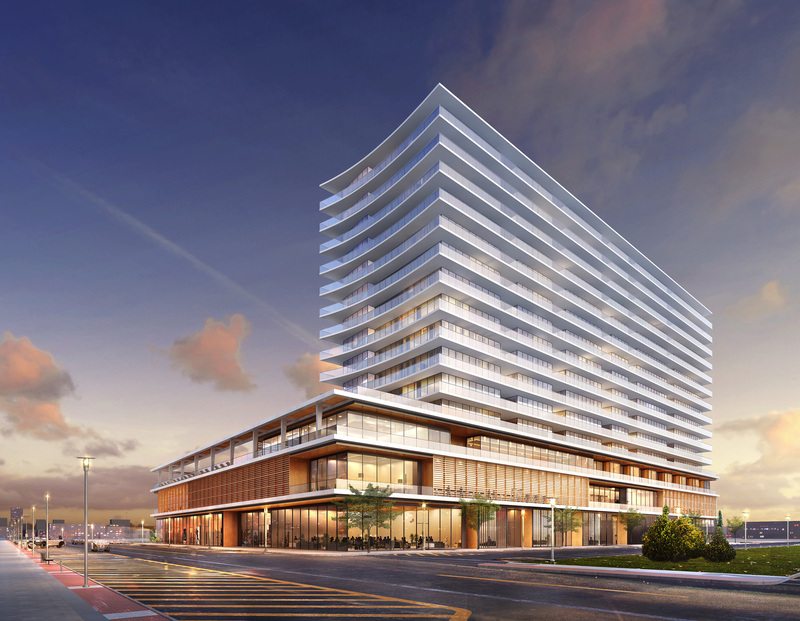 1101 Ocean, a landmark mixed-use hotel/condominium/retail project designed by New York's Handel Architects will shine as one of the tallest buildings along the Jersey Shore. By completing a project that had been abandoned by two previous developers, iStar will finally rid Asbury Park of a concrete eyesore that has been vacant for more than 20 years. iStar's unconventional, far-sighted approach to development extends far beyond buildings, however. The Company began setting the tone in Asbury Park more than three years ago with a series of community outreach and beautification projects. iStar has created "The Crew," an ambassador training program that teaches employment skills and community outreach as it coaches locals on welcoming visitors to Asbury Park. The Crew also helps support local organizations such as the Boys & Girls Club. To beautify the town for visitors and residents alike, iStar has added beach-themed landscaping throughout the community, and together with Asbury Park, relocated overhead electrical utility lines underground, installed new storm-sewer systems, and restored historic streets, lighting, curbs and sidewalks. Working with town officials, iStar has also facilitated the addition of significant new parking for the waterfront and its many attractions. "The opportunity to design almost a mile of oceanfront land almost never comes along," Sugarman stated, "and to have that opportunity in a place with as rich a history, as beautiful a setting, and with such iconic venues and architecture as Asbury Park, gives us a chance to do something really special. I know everyone on our team is committed to making that happen." iStar (NYSE: STAR) finances, invests in and develops real estate and real estate related projects as an adaptive investment company, bringing uncommon capabilities and new ways of thinking to commercial real estate. Building on more than $35 billion of transactions, including $10 billion of residential projects over the past two decades, iStar is one of the largest investors in luxury condominium, multifamily and master-planned residential developments in the U.S. Structured as a real estate investment trust ("REIT"), its portfolio is diversified by asset type, property type, geography and obligor, with a focus on larger assets located in major metropolitan markets. Additional information on iStar is available on the Company's website at www.iStar.com.